There are many faces to our university- researchers, athletes, volunteers and club leaders. They walk the talk (backwards), you know their names and see their impact. But there’s one type of student that everyone knows, wearing a bright orange polo and an even brighter smile. 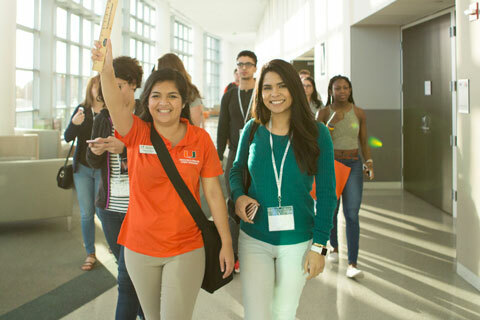 You guessed right, our P100s, representing the University of Miami as ambassadors at recruitment events and campus tours. They're the reason a future 'Cane might call the U their home away from home. Ready to be that reason? Let's get started.